I really like being an Oddish. You’d think my little legs would be all puffed out with people trying to catch me, but I’m doing a lot less running these days. Trainers finally have a device to spot me without having to dig up the ground, and as a result I’ve had tons of energy to run around outside in the sun. I’ve picked up a bad reputation as a “weed” over the years, because people like their gardens to look clean and plain. I understand that, but it has left me with very few places to live. Even in public parks I’ve been dragged out of my soil bed and thrown into bins before I can even say “Oddish Odd!“. I can’t get out of most bins if the lid is closed, because I’m not strong enough. With no sunlight coming through I have no access to my Solar Beam, which is probably my only attack strong enough to open the lid. Cut does nothing on this strange unnatural surface and makes me dizzy. With no effective moves to use inside a bin, I just have to use Rest until somebody dumps me outside again. There’s not much to look forward to. A new, unfamiliar place is just as scary as the prospect of a slow death. I’m lucky to still be alive though. I’m lucky to be an Oddish. I’ve always put on a brave face but the last two decades have been hard. Living with a constant fear of being plucked from the ground, even those nights I do get sleep are not so great. I have to spend a lot of time with my body in the soil because it just feels really comfy, and it’s also where I sleep. If I don’t get enough sleep I start oozing poison powder, and I don’t really like that move. It just annoys everybody and makes it hard to make friends. As a grass and poison type Pokemon, I’m stuck with a lot of unpleasant abilities, but as long as I get enough rest my little legs can get me around to use which ever moves I please. My life changed in the past month as trainers started approaching me differently. The Pokedex must have got an upgrade, because now people approach me with a smile instead of disgust. I really can’t explain it. I have to admit, I still have this primal urge to run away from people and protect myself. That’s why when you see me, it’s really important that you smile. I am finally feeling comfortable as an Oddish knowing that people want to be my friend. 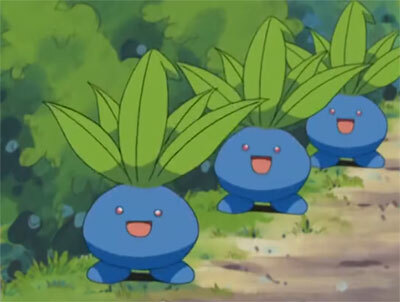 I’ve even made friends with other Oddish, and discovered there are a lot more in my area that have been hiding. We all feel a bit safer now that people like us. 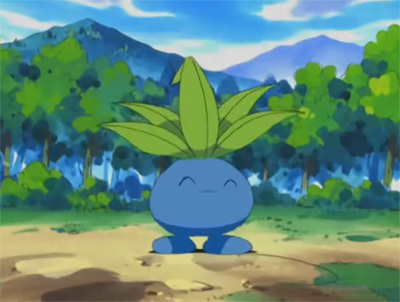 There has never been a better time to be an Oddish. If anyone wants a leafy friend I hope you come out and play with me. I’m a lot of fun, and can evolve into Gloom, Vileplume and Bellossom. Personally though, I would prefer to stay an Oddish. When you get to know me, hopefully you feel the same. There’s nothing else I’d rather be.